I have a 4750x2100x860 halfpipe. 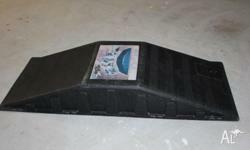 The frame is made out of duragal steel and seperated into 3 sections making it easily moveable. 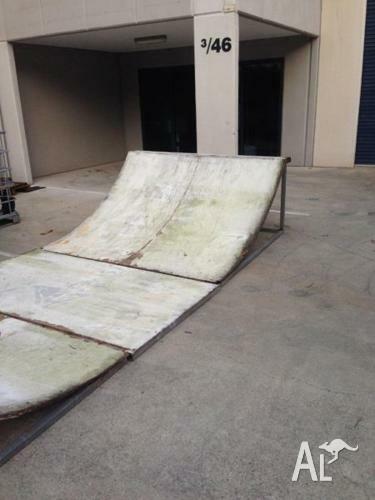 The ply on the halfpipe is old and wheathered, it could be used again, but a resheeting would make the ramp new again. The frame however is as strong as the day it was built and will last for years to come.